The pretty fishing village is known for its whitewashed homes and has many attractions for the visitor to enjoy. Here we list five. 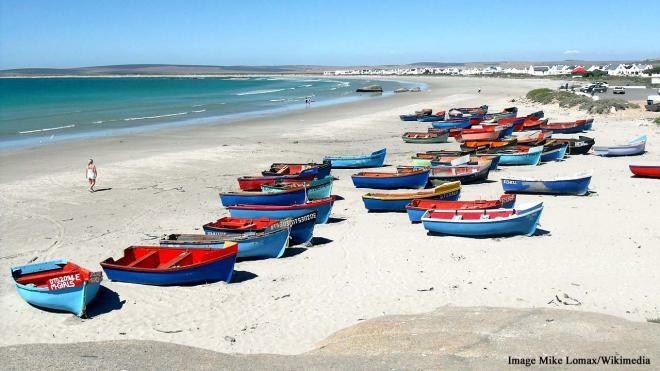 Nestled on the West Coast in the Western Cape, South Africa, Paternoster is a pretty, traditional fishing village, one of the oldest of its kind on the coast. Located on Cape Columbine, between St Helena Bay and Saldanha Bay, the village is a 1-hour 43-minute drive from Cape Town on the coastal road, with amazing scenery all the way. Known for its pretty, white-washed homes, often with windows with a blue trim, the small coastal village has lots to offer in the way of attractions. The following are various places to go during your visit to Paternoster, South Africa. The endless, almost deserted, white sand beaches are a pleasure to stroll, sunbathe or swim. They are often dotted with colourful, wooden fishing boats. Other more active things to do on the beach include fishing, sea kayaking, whale and dolphin watching, horse riding and windsurfing. This is also the spot to enjoy magnificent sunsets and sunrises. 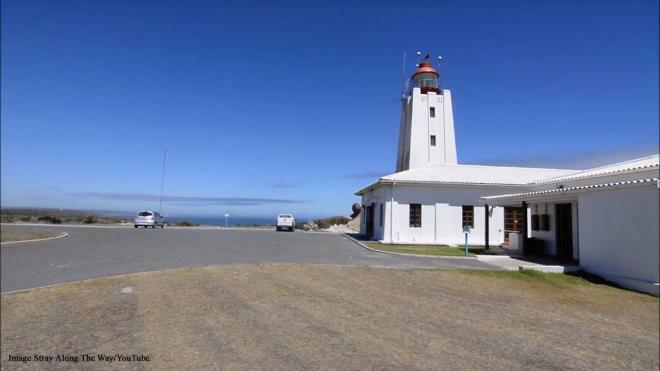 Cape Columbine features the only manned lighthouse remaining on the South African coast. The lighthouse was constructed in 1936. The area surrounding the lighthouse is a pretty nature reserve, ideal for a picnic or camping.